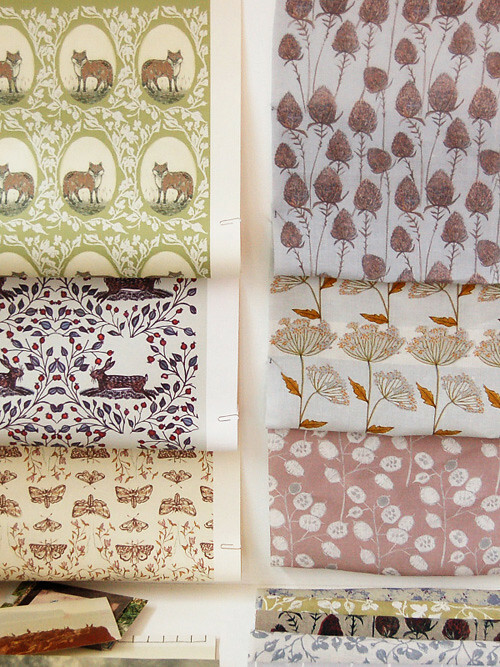 Rosemary Milner Wallpapers, Fabrics and More! 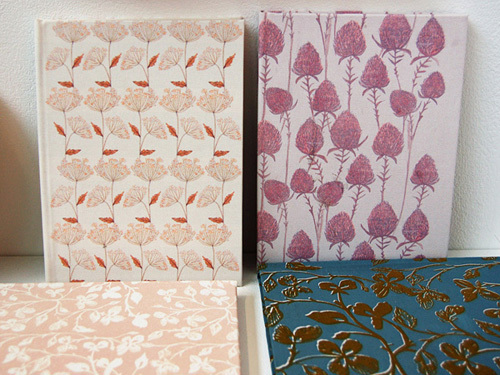 Rosemary Milner has the most beautiful screen printed wallpaper, books and fabrics! 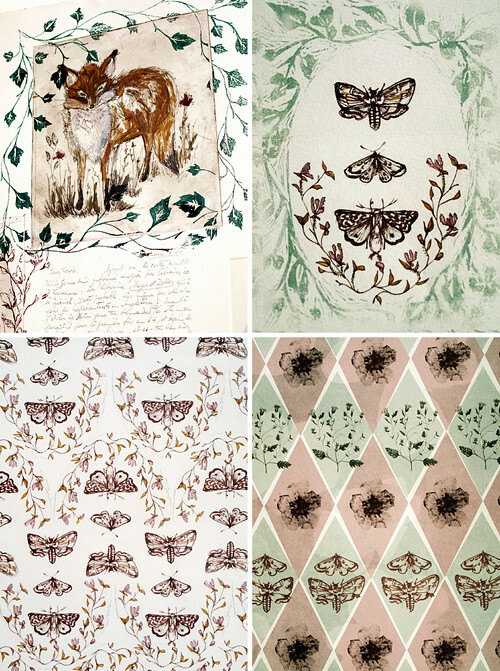 She is a delightfully talented surface pattern designer from England who recently graduated from art school and clearly has a huge future ahead of her, evident the moment you visit her website. 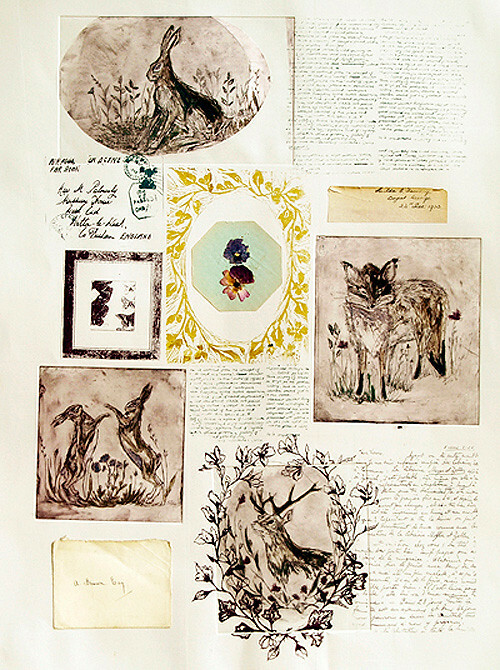 She loves traditional methods of printing and production and craft so she's keen on things that most of us love -- like hand stitching, hand etching, silk-screen printing and lino illustration. 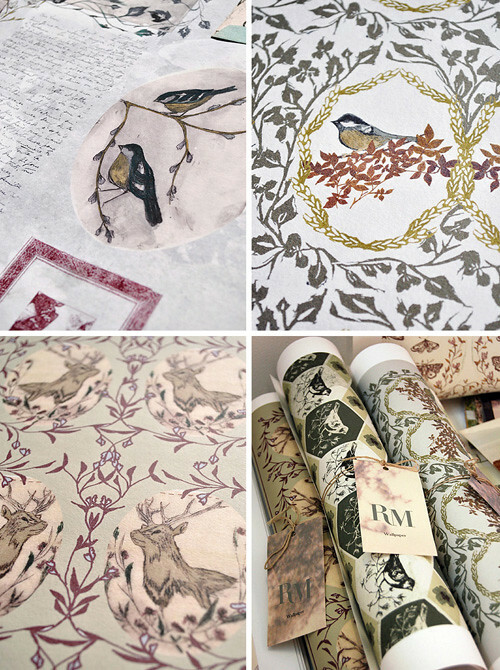 Rosemary's current collections are inspired by flora and fauna with historical narratives. 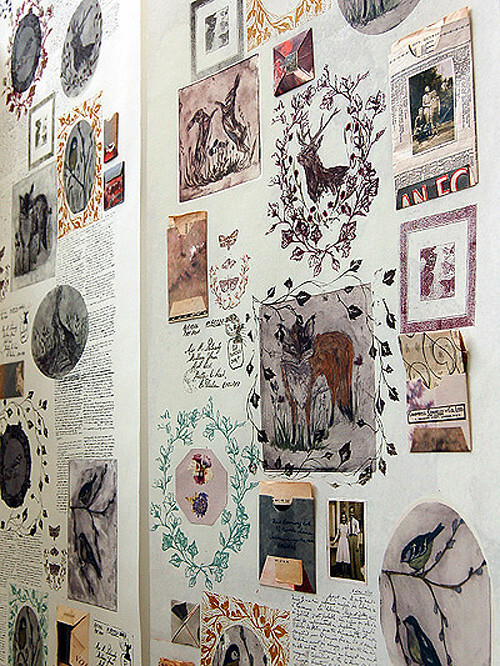 Her woodland animals, British birds and botany, alongside her own fresh interpretation of them, are quite sweet and charming. There is almost a fairytale-like quality to them, they remind me classic books, picnics in the park and freshly picked daisies. 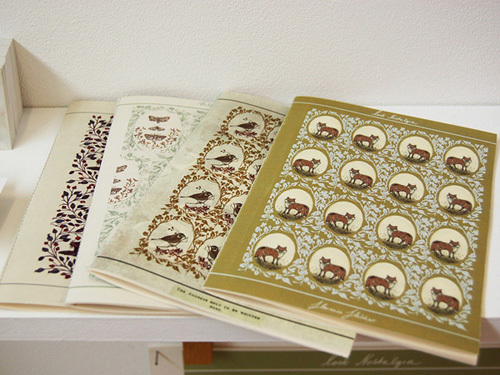 Her embroidery collection and wallpapers are my person favorite. 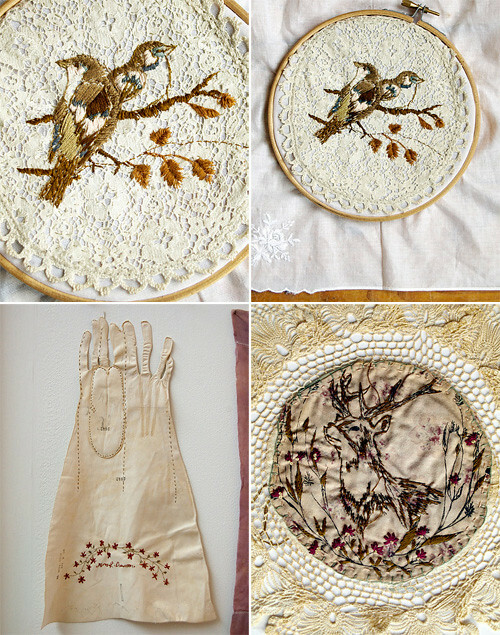 I love the tactile element - stitched fabrics and papers, vintage notions, found items and hand stitched motifs -- all things that I absolutely love. 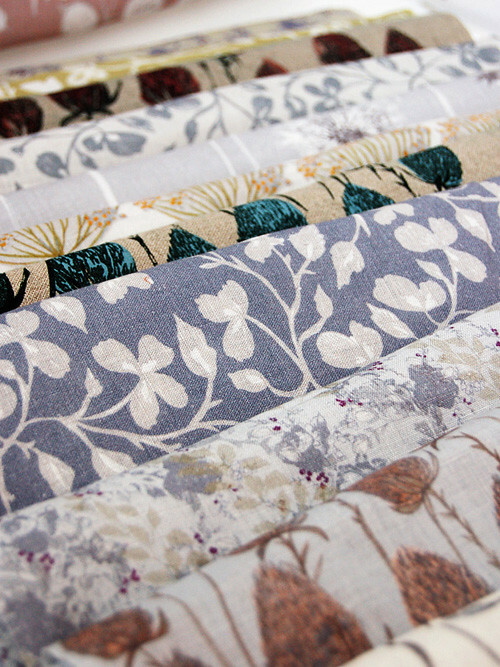 Rosemary is available for commissions and is even open to the idea of extending her designs for the mass market into linens and furnishings. I'm excited to see where she lands someday -- such a great future ahead for Miss Rosemary, I'm sure.